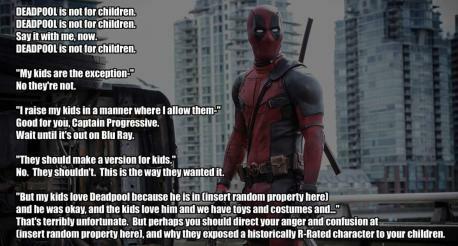 Results for - If someone says they'lll let their 4 kids under 10 watch the new Deadpool movie (see info on why it is rated R here on IMDB if not familiar with the character: http://m.imdb.com/title/tt1431045/parentalguide) would you say something about it? 1. 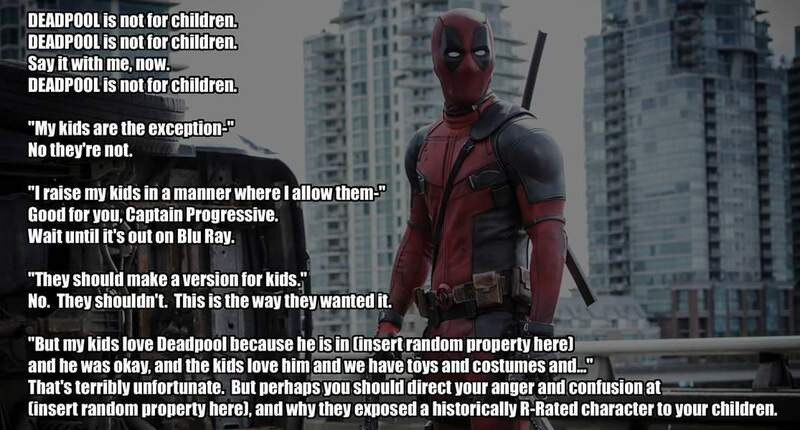 If someone says they'lll let their 4 kids under 10 watch the new Deadpool movie (see info on why it is rated R here on IMDB if not familiar with the character: http://m.imdb.com/title/tt1431045/parentalguide) would you say something about it?